Paste your EXIF embed code into a Tumblr Text post. 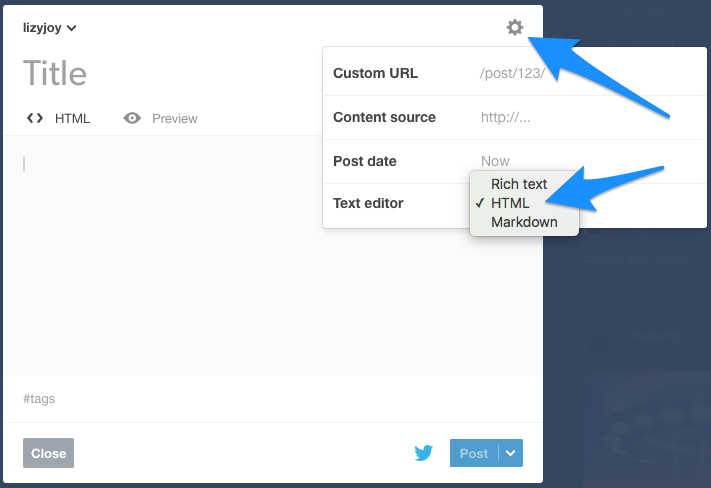 Make sure HTML is selected in your post’s settings gear (top right corner). Even though the image appear on your website, unfortunately it doesn’t seem to appear in the feed preview.